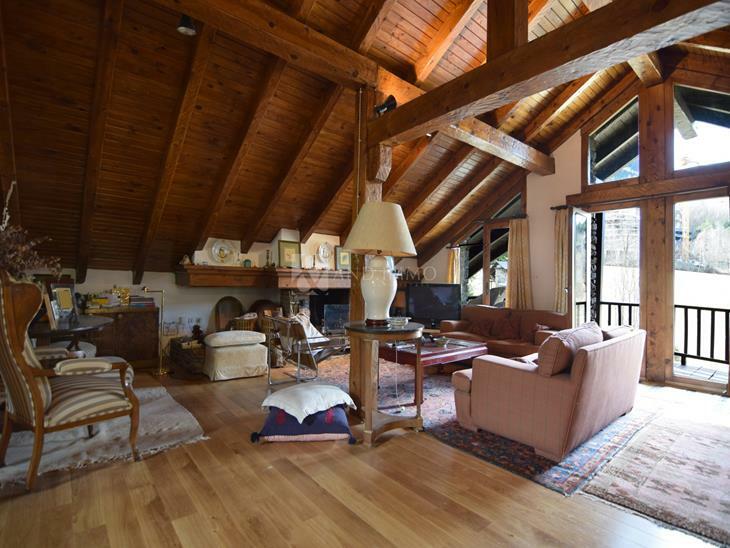 Modern semi-detached house, located in the center of Ordino with magnificent views of the village. It combines the modernity and rustic style that characterizes this area. The boiler is biomass and its south and west direction also allows us to enjoy the sun for almost all day long. The property is divided into 4 levels connected by wooden stairs, on the first floor a large open space presents the living room with fireplace, the dining room and the open kitchen design of the Bulthaup brand, the large windows allow us light entrance and enjoy the breathtaking views. Some glass stairs take us to a room currently equipped as a living room, but it can be used as an office, games room ... On the second floor we find the main room of 50m2, with dressing area, private bathroom, chimney and large windows with lovely views. On the top floor we find a large room with its private bathroom. On the ground floor we find two double rooms with views of the garden, one in the form of a suite with its full bathroom and a full bathroom, plus a small living room. The property is complete with two parking spaces, a laundry area and a storage room.